U.S. consumers aren't buying as much from Wal-Mart lately, and neither are investors. The retail king's used the "blame it on the weather" excuse to explain its lackluster first quarter, but Wall Street viewed it with the same skepticism as the dog (or Internet virus) eating a kids' homework. That's because Wal-Mart's (WMT) latest earnings miss is part of a broader trend of Americans pulling back on their shopping at the store. Even if this had been the warmest winter on the books, Wal-Mart likely would have had subpar results. "Paging Mr. Sam, please report to the Bentonville Aisle, your company continues to massively underperform for an investor that is growing not to expect much," Brian Sozzi, CEO of Belus Capital Advisors, said in note to clients on Thursday. Wal-Mart also triggered alarm bells by forecasting poor earnings for the current quarter, which is free from weather-related headaches. The world's largest retailer has now issued five consecutive below-consensus outlooks -- akin to going from being an "A" student to a "B" one. It's clear Wal-Mart is pinning its first quarter troubles on weather, an issue many retailers grappled with during the Polar Vortex winter. The company mentioned "weather" 18 times in its earnings conference call, explaining that "unseasonably cold and disruptive weather" hurt U.S. sales and drove up operating expenses. Wal-Mart estimated the weather issues accounted for about $120 million of headwinds compared with the year before. Sozzi said he's "absolutely not" buying that excuse. "Their U.S. sales have been in a structural decline. Every quarter Wal-Mart has another excuse." In February, Wal-Mart blamed Washington, citing cuts in food stamp benefits and higher payroll taxes for its gloomy results in the fourth quarter of last year. In addition to the weather, this time around Wal-Mart cited a double-digit increase in health care expenses in the fourth quarter amid increased enrollment in the company's medical plan. But the real story is that Wal-Mart is struggling to lure customers into its enormous stores. That's a serious problem given how much stuff the company squeezes on its shelves in hopes of driving sales. U.S. traffic fell 1.4% during the first quarter, building on a 1.8% decline from the year before. By comparison, Wal-Mart's Sam's Club suffered just a 0.2% dip in traffic during the same snowy quarter. Cowen & Co. said this appears to be the weakest two-year U.S. traffic period in some time. The slowdown comes "despite the company's many laudable efforts to add excitement to the store," Cowen & Co. analyst Faye Landes said in a note to clients. Overall, Wal-Mart said it earned $1.10 per share in the first quarter on an adjusted basis, trailing Wall Street's expectation of $1.15. Even if the three cents of weather related impact were excluded, Wal-Mart still would've missed the mark. Total sales inched up just 0.8% to $115 billion. Many were expecting $116 billion. 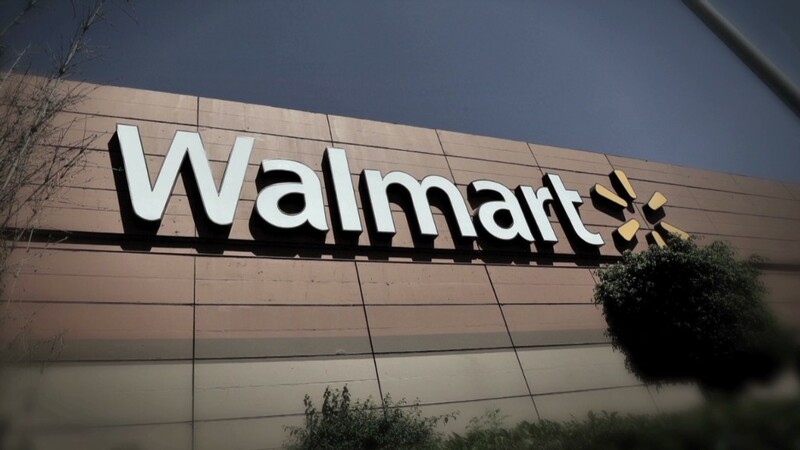 Investors punished Wal-Mart for the disappointing figures, driving its shares over 2% lower Thursday.